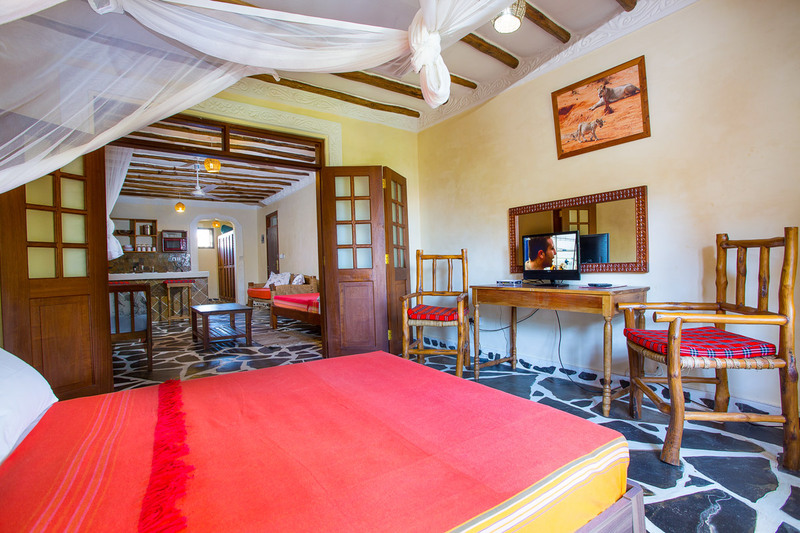 Sophia Baharini Apartments boasts of 20 tastefully designed serviced apartments right in the middle of Diani Beach Area which is famous for its charming, serene and colourful multi-hued waters sweeping across the entire South Coast of Kenya. At Sophia Baharini Apartments, you will get to choose from three accommodation options:- Apartments with balcony, Apartments without a balcony and the alluring Studio Apartments. All these is on self-catering basis. 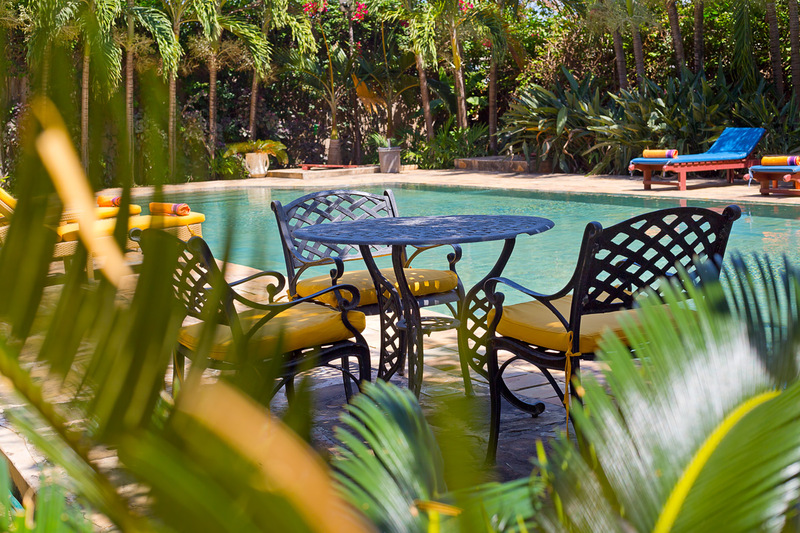 Above all, Sophia Baharini Apartments offers a true taste of Swahili culture from the architecture, palm trees, paintings and authentic Swahili hospitality that will most definitely impress even the most discerning guest. 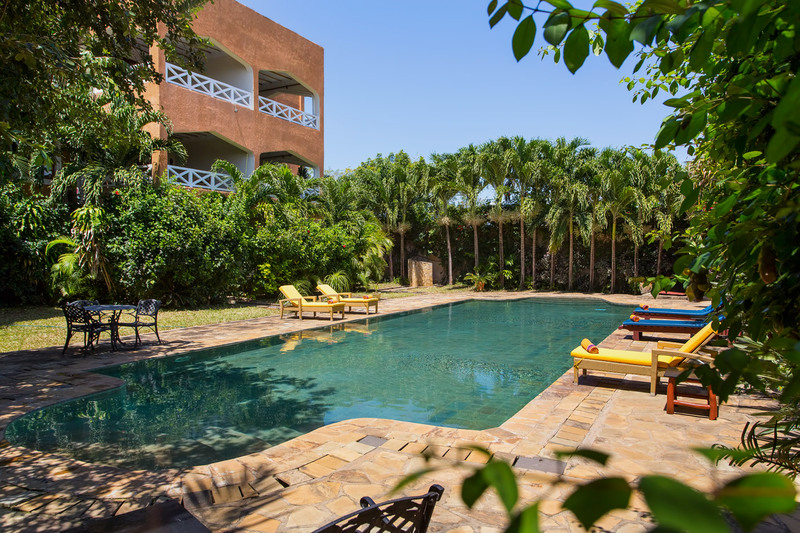 We have a large stunning swimming pool which is unusually warm at night thanks to the pool's distinct depth and Mazeras stone wall cladding used to ensure all guests can swim for as long as desired into the night after an adventurous day without any worry. 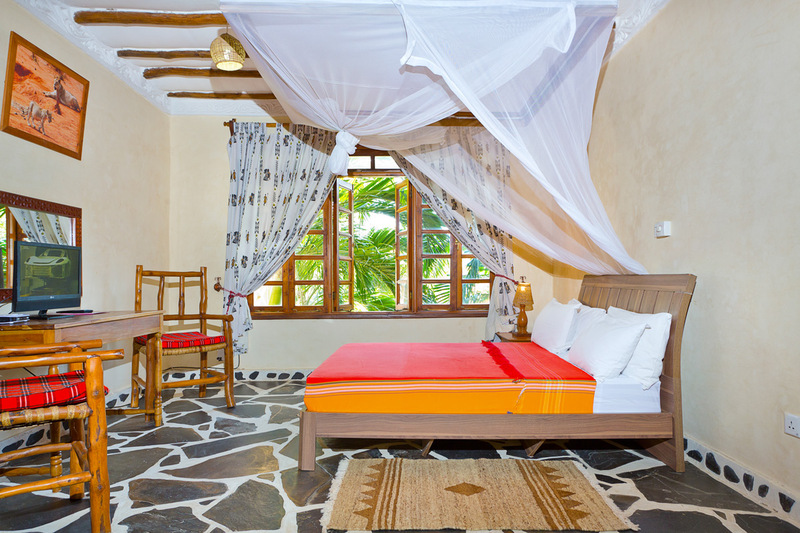 We are located less than 10 minutes from the Ukunda airstrip and approximately 15 minutes walk to the white sandy Diani Beach. 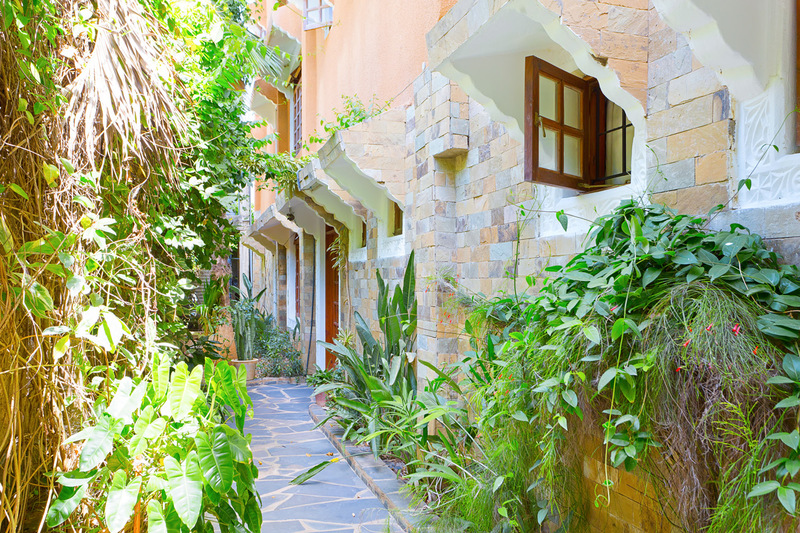 This location also ensures that you are just minutes away from the malls, supermarkets, clubs, cool beachfront restaurants and Swahili inspired curios shops that will without a doubt be a reminder of the Swahili sensations you will have experienced during you trip to Sophia Baharini Apartments. 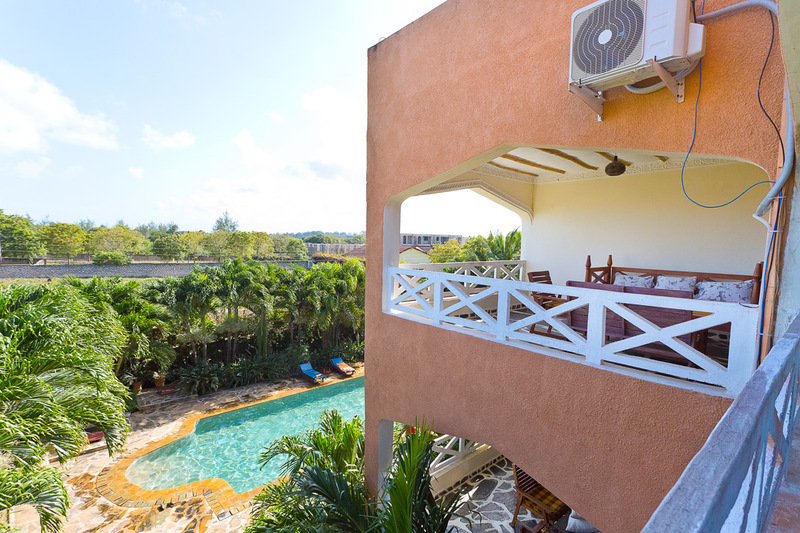 Spacious and bright, this apartment has a private balcony with 180 degree view of palm trees, lush gardens & the magnificent swimming pool view right below it. 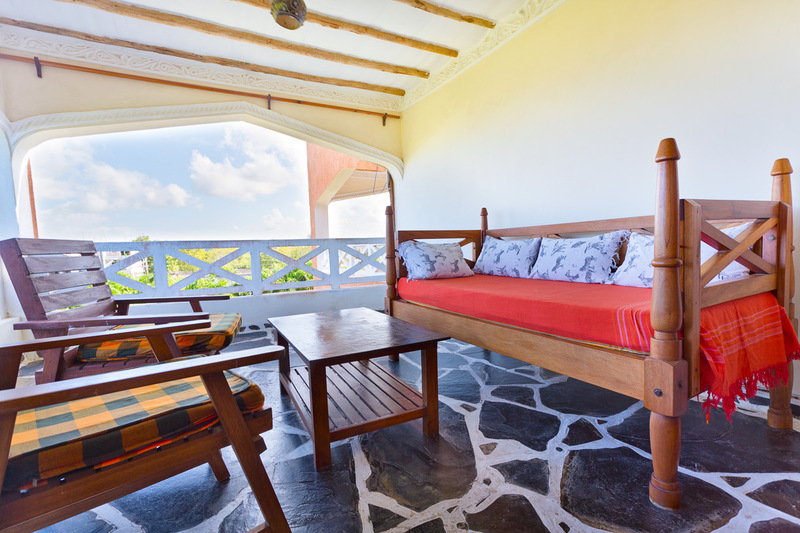 True to Swahili culture, this apartments floor, furniture, beddings & cornices have that natural yet rustic feel that is a signature architectural trend among local swahili master craftmen in the region. 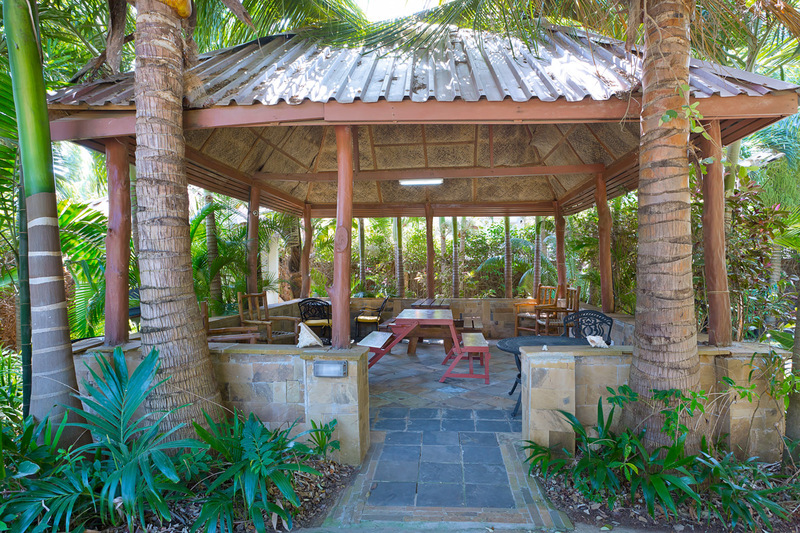 This apartment can accommodate 2 adults on self-catering basis. Upon special arrangements we can provide two single beds to cater for two additional people or kids.There are 12 apartments with a balcony. 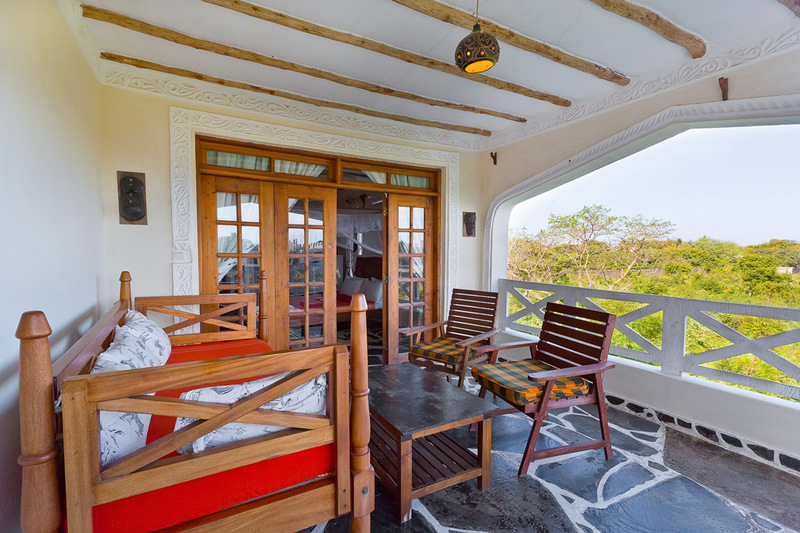 From the balcony, you'll lose yourself in the sights and sounds of nature, with birds chirping & hovering majestically above. This apartment tends to be quite the favourite spot for most guests, book today to secure this apartment. 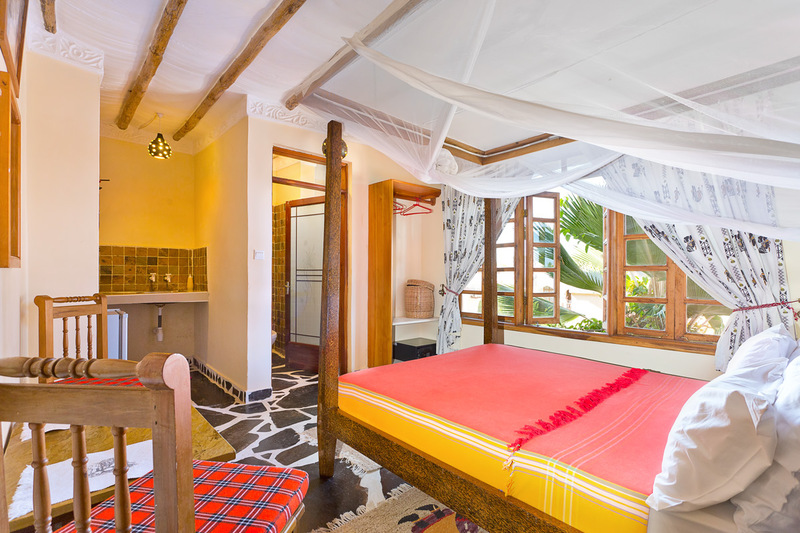 This room is simply exquisite!Tastefully designed and decorated with a touch of african prints and swahili inspired furniture beautifuly placed around the room to make your stay simple and hustle free. The Type 2 Apartment can accommodate a maximum of 4 guests. Two guests will be at the main bedroom while the other two additional guests will sleep on the two comfortable single beds provided.We have a total of 6 apartments of this type. 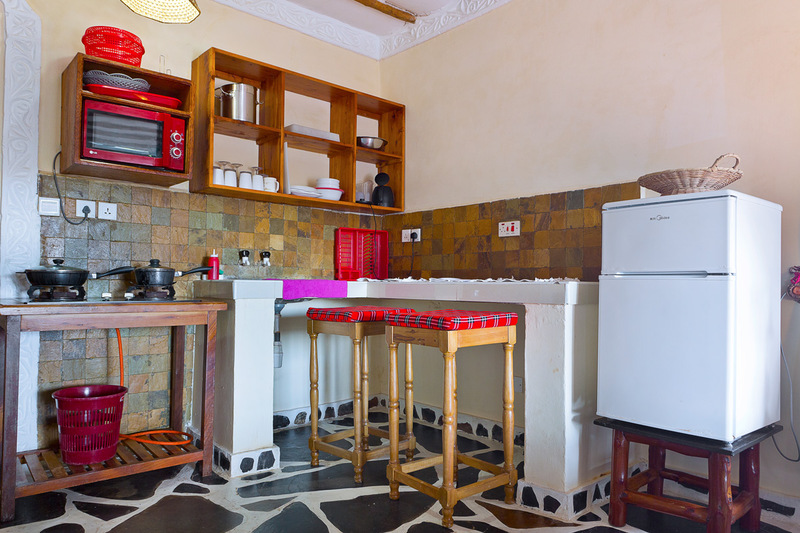 This room has a fully equiped kitchenette, which allows you and your friends or family to make your own meals at your own time and still enjoy your vacation in Diani at an affordable cost. This room is a perfect fit for a couple; Its got just the right amount of space, fully fitted & functional kitchenette as well a bathroom. Our aim is to create a place where guests feel like they belong... a private sactuary and thats exactly what you get from these Studio Apartments. The amazing service from our team is meant to ensure that every detail of your stay is perfect and friendly. 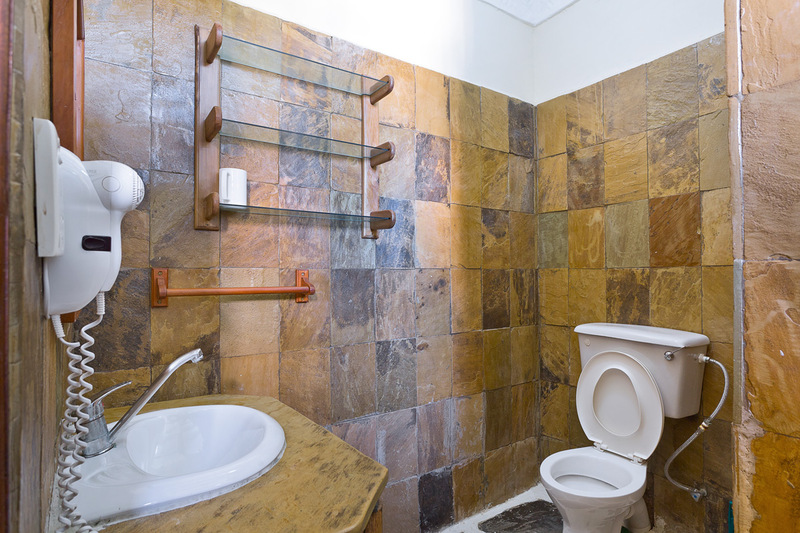 We have a total of 2 Studio Apartments.Each Studio Apartment can accommodate two guests. 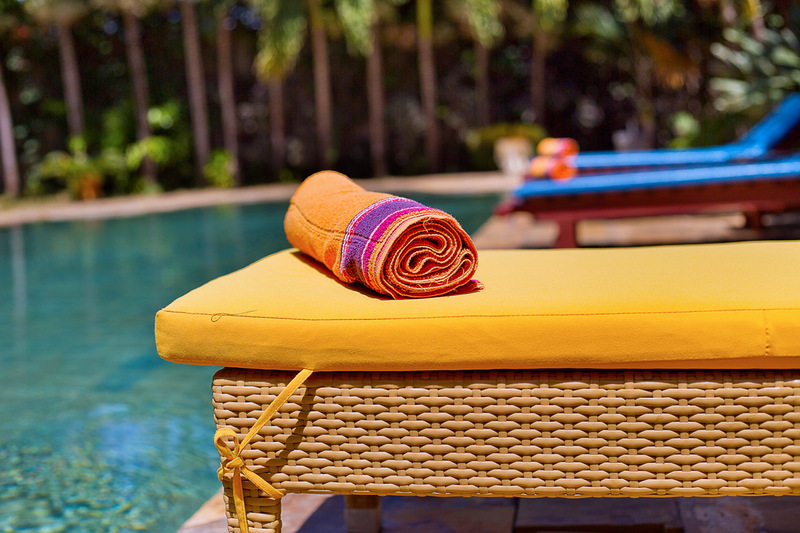 You'll get full access to the shared gazebo, barbeque area and the beautiful swimming pool which has poolside beds to allow you soak in the warm Diani sunshine. 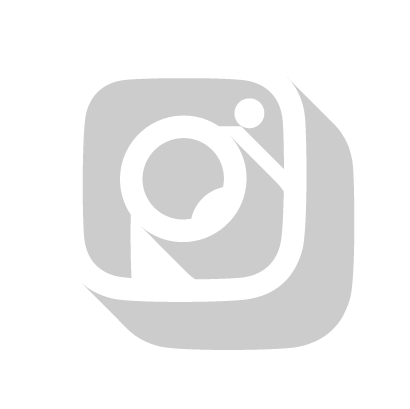 If you need any guidance on beach excursions, night spots,taxi drivers and restaurants around the area, our team will gladly furnish you with this information and much more. Welcome to Sophia Baharini Apartments.  There are a multitude of shopping centres and restaurants in Diani. 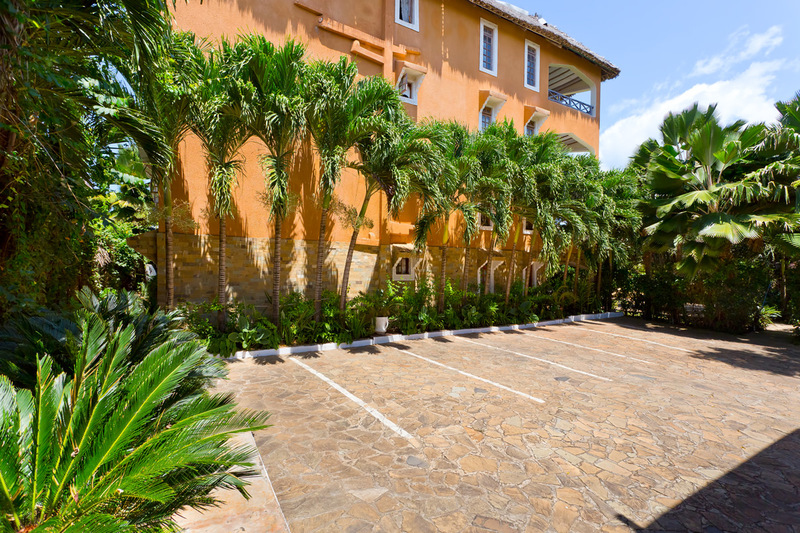 Around Sophia Baharini there is, Diani Shopping centre, Kokkos Bistro, Piri Piries bar and restaurant, Forty theives restaurant and Centre point mall at the heart of it all. Just 2 kilometers away, the Ukunda Airstrip makes it easier and efficient for our guests to arrive and depart Diani. There is an abundance of Tuk tuks, Boda Bodas (Motor bikes) and Taxis to help you move around Diani and explore the beautiful town. Diani Beach is well known for its abundance in leisure activities. Some of them include Sky diving, Kitesurfing, Kayaking, Wind Surfing, Stand up paddling, Snorkelling, Scuba Diving and Deep Sea Fishing. All this can be found just a few meters walk from the cottages. 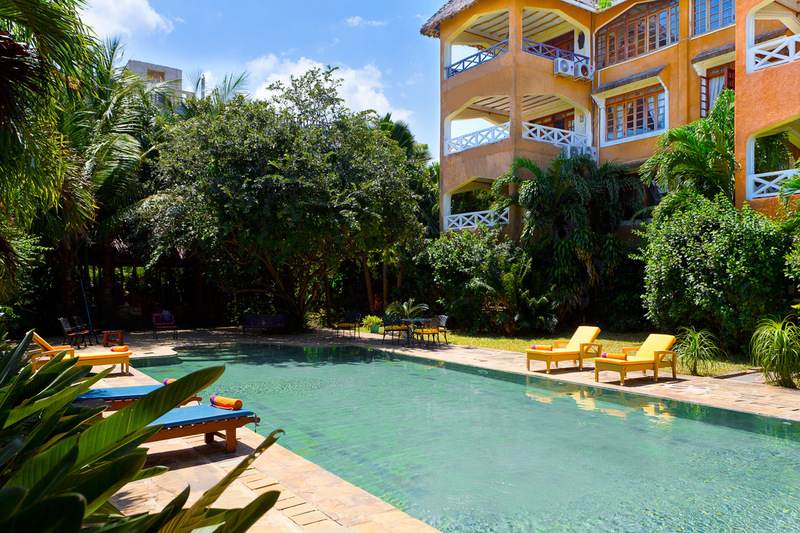 Sophia Baharini Apartment is just 100 metres behind the Chandarana Supermarket along DIani Road. 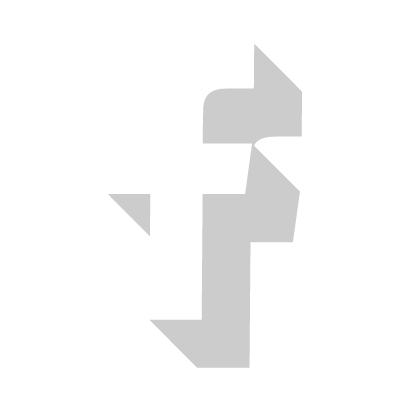 By Air/Flight: You can fly from Wilson Airport (Nairobi) into Ukunda airstrip which is about 10 minutes away from Sophia Baharini Apartment.We can organize your pick-up by a Taxi from the airport to the apartment.